Exchange and commissary discounts can be difficult to gather together on your own, especially with the hectic schedules many military families have to manage. Instead of hunting down bargains across dozens of sites before your next shopping trip at Randolph Air Force Base in Universal City, Texas, just visit MyMilitarySavings.com. We’ve made it our mission to help military shoppers just like you find the best deals available online for the commissary and exchange in a single, convenient site so that you can save time and money instead of having to sacrifice one for the other. 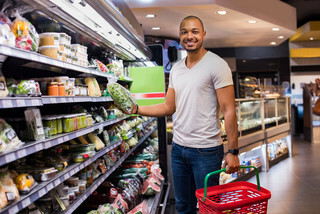 In addition to coupons for the commissary and exchange, you’ll also be able to find user-friendly tools to help you plan your shopping trip. For instance, with the “My Shopping List” tool, you can build a list based on the coupons you find on our site, then print it out or take it with you on your smartphone for on-the-go savings. We’ll even send you a weekly e-newsletter with electronic copies of the Coupon Connexion and Price Connexion flyers so you don’t have to wait to get to the exchange or commissary to see what’s on sale. To learn more about the savings opportunities we offer for the commissary and exchange at Randolph AFB, sign up for your free membership at MyMilitarySavings.com today.